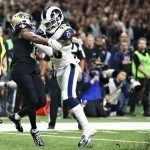 The Los Angeles Rams are taking more Super Bowl money than any other team in the NFL, as bettors are rushing to print ticket slips on the longest odds possible. 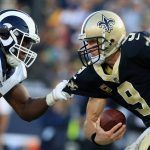 After opening as long as 20/1, oddsmakers have shortened the Rams’ Super Bowl odds due to a flurry of activity on the 2017 NFC West champions. The Westgate SuperBook currently has the team at just 10/1 to win the Vince Lombardi Trophy. 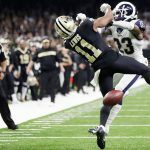 Westgate football oddsmaker Ed Salmons tells ESPN that in addition to the Los Angeles Rams, the sportsbook has taken considerable money on another California team. Salmons says despite going 6-10 last year, the San Francisco 49ers have plenty of gamblers believing in their 2018 chances. “Both of those teams (Rams and 49ers) have difficult schedules, but the public has shown just a ton of support for them,” Salmons stated. The 49ers won five straight to end their season after acquiring quarterback Jimmy Garoppolo from the New England Patriots. 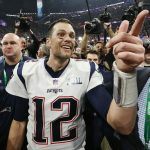 Despite the Rams taking the most money at the SuperBook, oddsmakers online and in Las Vegas still believe the Patriots are once again the team to beat. The SuperBook has Tom Brady’s squad at just 6/1 to win Super Bowl LIII, which will be held February 3, 2019, at Mercedes-Benz Stadium in Atlanta. Should the Pats win their third title in five years, each $100 bet will net $600. The defending champion Philadelphia Eagles are next at 8/1 along with the Pittsburgh Steelers. After the Rams, it’s the Minnesota Vikings (12/1) rounding out the top five. As for the winless Cleveland Browns, there’s actually been some action on the Ohio team for Super Bowl 53. After opening at 250/1 at online sportsbook Bovada, the site has shortened their championship odds to 100/1. If the Browns pull off the seemingly impossible and win their first Super Bowl, a $100 wager would net $10,000 on the current line. The Westgate SuperBook recently unveiled odds on season win totals for each of the NFL’s 32 teams. And not surprisingly, the Patriots top the list with 11 wins. The Eagles and Steelers are next at 10.5, followed by the Green Bay Packers and Vikings at 10 wins. 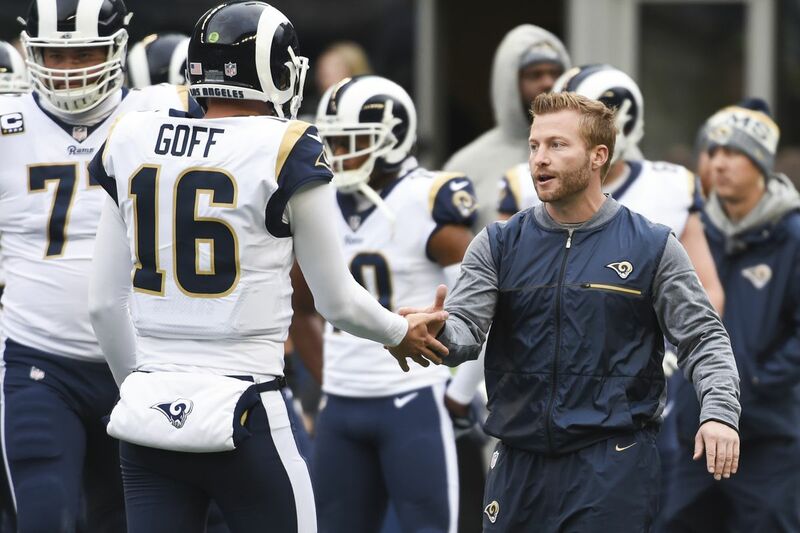 The SuperBook has the Rams at 9.5 wins. As for those Browns, the 0-16 squad is listed at 5.5 wins at the SuperBook. They aren’t alone in the NFL gutter, as the Arizona Cardinals share the same win total. While the Patriots have won 12 or more games in eight straight seasons, oddsmakers say there’s some concern this year due to Brady being 41-years-old when the regular season begins. “There just isn’t as much margin of error for the Patriots at this point,” Salmons explained. Prior to the 2017 season, the SuperBook had the Patriots’ win total at 12.5. Bets on the over won, as New England went 13-3.